Tracking employee training metrics is essential. 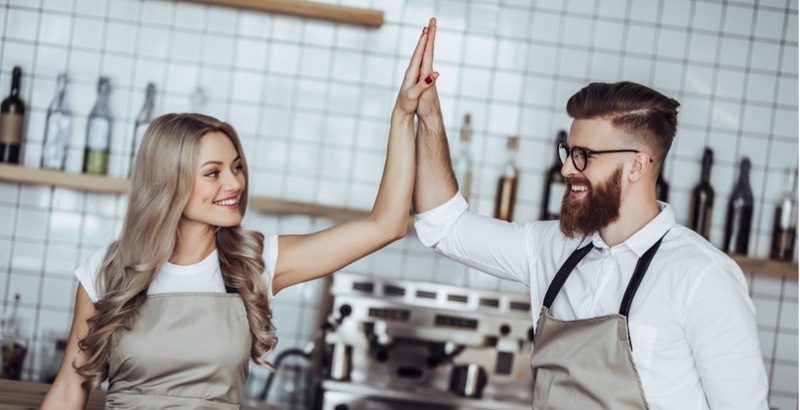 In fact, it is becoming a "do or die" decision for most businesses, particularly in retail and restaurant space where staff retention is a major concern, resources are limited, and competition is cutthroat. Make 24% higher profit margin. So any retail or restaurant business that doesn't track its employee training is making a huge mistake. If you're not yet convinced, here are five actions you can take based on the metrics. Employee training metrics should ideally begin before hiring. During an interview, potential candidates should be evaluated based on their future potential, such as their desire to get promoted in your company. Working in retail and restaurant space requires trust and passion. Find out if they're flexible with their schedules and what they can devote to your business. These metrics can help you weed through potential employees. You can also use the metrics to evaluate the effectiveness of your hiring process and discover new ways to improve. Retail and restaurant businesses invest a lot of time and money on employee training. With job training, background checks, and trainers' expenses, the cost of every employee can be huge. Although having a cost-effective training program can you save thousands of dollars, it's also prudent to ensure that it yields results. By leveraging a digital and mobile training solution, leaders can evaluate the effectiveness of training materials, relevancy, and post-training reinforcement. And with modern systems, you can make changes in information and processes almost instantly for a quick change in results. Evaluating employee efficiency can be both subjective and objective. A subjective view can be determined by looking at how your employees interact with customers and other co-workers. On the other hand, an objective view looks at the number of customers served or the number of units sold. These training metrics can help you evaluate your team members and find ways to increase their effectiveness. Highly engaged employees show 21% greater profitability, according to a Gallup study. In addition, employees are less likely to seek jobs elsewhere. Disengaged staff, on the other hand, are more likely to be absent from work, communicate negatively to customers and co-workers and even steal. Setting individual goals can offer a great insight into the effectiveness of your employee training program. And gamification of employee training is a great strategy to employ. Gamification turns training into a game-like atmosphere, where participants take an active role in their education, instead of being passive listeners longing for the session to end. And that is conducted by creating a "game" that achieves the same goals as the intended training session in an interactive manner. In return, employees will appreciate the importance of setting realistic goals based on their strengths to achieve a common goal. Tracking employee training metrics, therefore, allows you to identify employees who regularly meet their targets and those who don't. Tracking your employee training metrics can take your business to the next level.